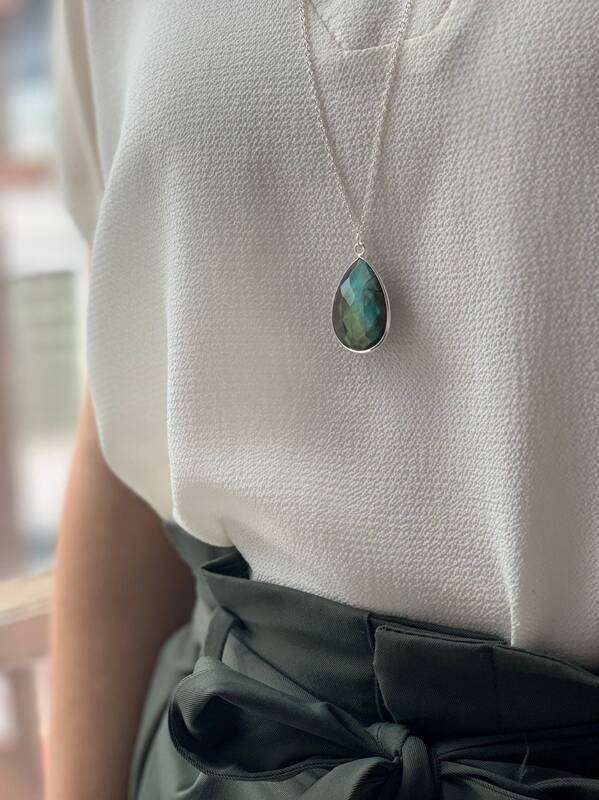 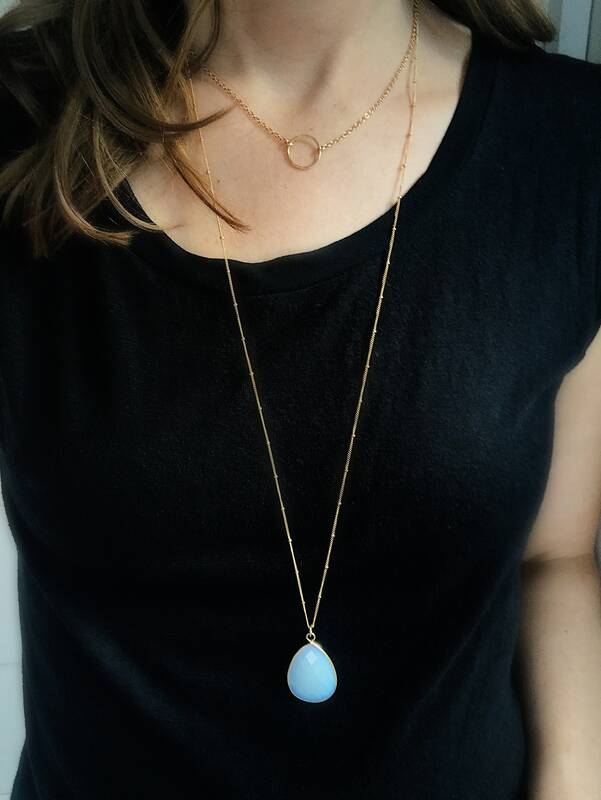 This necklace features a large beautiful gemstone pendant, in either gold or silver. Its a stunning piece that will provide you with a ton of versatility. 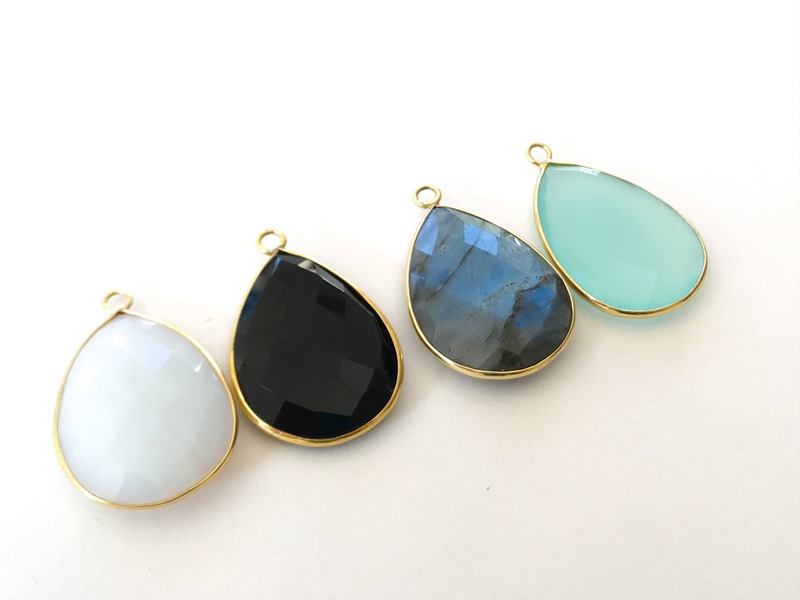 ►Stone details- 30mm x 22mm gold/silver plated pear shaped gemstone bezel. 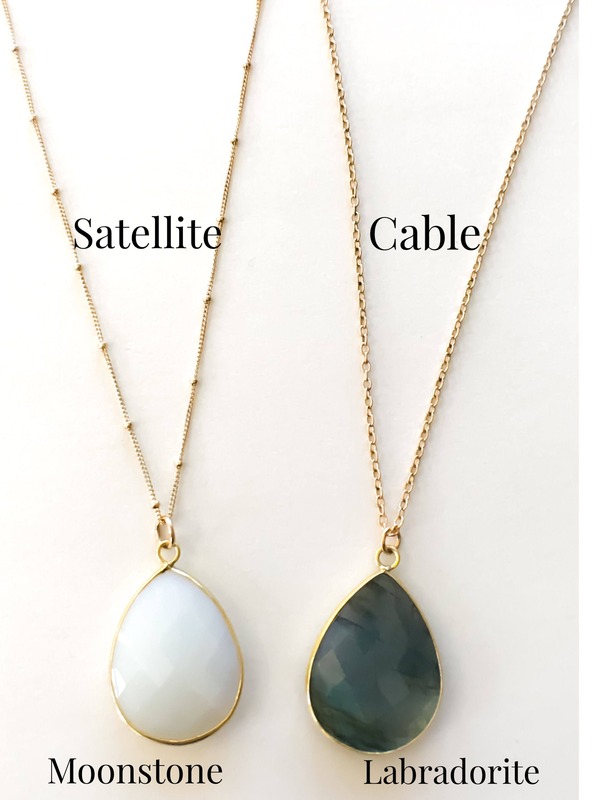 Gemstone measure 1″ in height- add that measurement onto your chain length ( 30" chain with pendant will be a total length of 31". 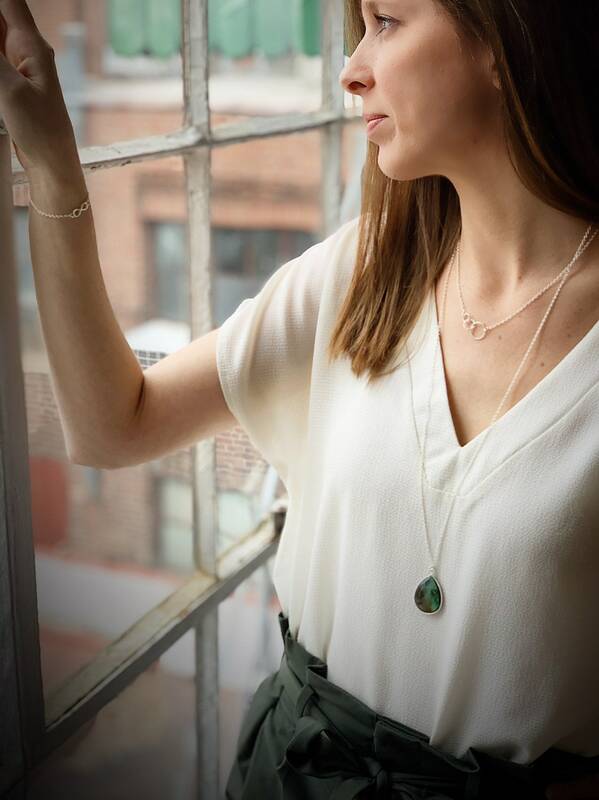 ►The featured model is wearing a 30″ SS (sterling silver) cable chain. 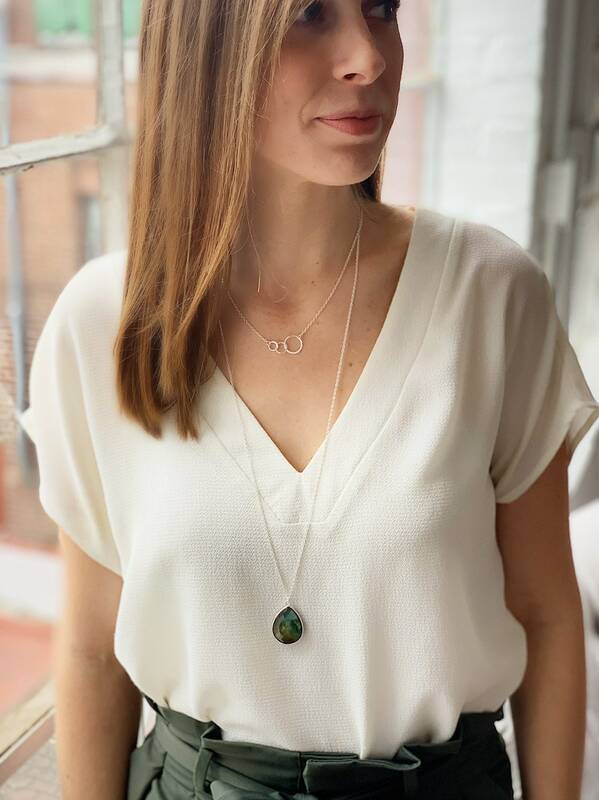 ►Second to last model is wearing The Goldenrod Necklace and The Minimalist Necklace. 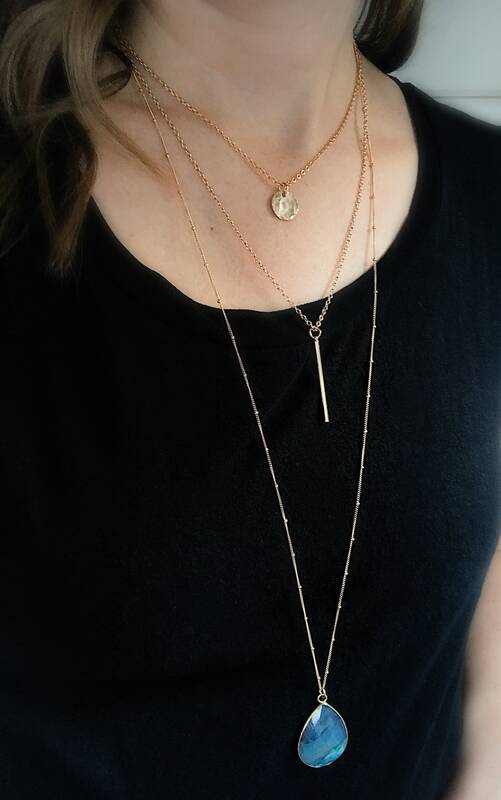 ►Last model is layered with a 17″ Circle Necklace and a 30" Satellite chain.